Catchball is one of the simplest and most effective ways to achieve continuous improvement in your organization. Learn how it works and how to start applying it. Catchball is one of the practices that make Lean one of the most effective methodologies for managing teams. Part of the Hoshin Kanri method, it allows you to align your company’s goals and objectives with the actions of the people on all hierarchical levels of your organization. Hoshin Kanri Catchball is a technique for creating and maintaining open feedback loops across all levels of your organizational hierarchy by establishing a two-way stream of information sharing. 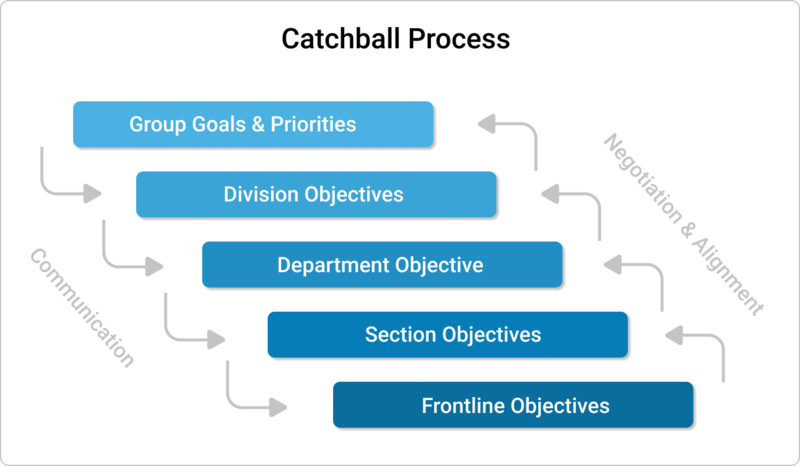 In its original form, Catchball has a vertical application meaning that the top level of management sets the goals for the company and prepares a strategy proposal. They toss it like a ball to the lower level and wait to receive feedback and tactics proposition. There may be a few iterations before the consensus is reached. On their part, mid-level management tosses the goals down to team leaders and the process is repeated until “the ball” has reached even the people at the bottom of the pyramid. The final goal is to provide every person that will be working towards achieving the company’s goals with the opportunity to give input on their part and align every action in a common direction that is shared by everyone. Although the strategy is usually thrown down by executives, in Lean, tactics and process improvements are tossed up by lower levels of management and regular team members. This makes Catchball extremely suitable for companies that have embraced a culture of shared leadership. Catchball is an effective way to make sure that employees are given the opportunity to understand how they fit into the larger picture and to become more connected to the most important objectives of the organization. In the context of Lean team management, Catchball is a practice that can lead to a rapid increase of engagement in your team, which on the other hand will help you achieve continuous improvement. When looking at new ideas or plans for your company, this element of the Hoshin Kanri method can help get a better understanding of the practicality of your plans and decide whether or not they will be a success. This is done by allowing people from multiple areas to contribute to the analysis of the plan or idea. They will be able to suggest practical improvements coming straight from the “kitchen” and will be more determined to execute the plan wanting to prove that their suggestions have an actual value. How to Start Practicing Catchball? Although Hoshin Kanri Catchball seems like a simple practice, there is a set of universal rules that you need to follow if you are determined to make it part of your Lean management tool arsenal. First of all, you need to understand that Catchball should be played by all the people that can contribute to your improvement process. As a leader, you need to make sure that everyone has the opportunity to hold the ball. After a person receives it, they should be given enough time to investigate the plan and provide feedback and data before passing the ball to the next player or returning it to you. In addition, you have to make sure that everybody understands that all of you are on the same team and any ideas and even small suggestions are encouraged. Nonetheless, when holding the ball, a person needs to accept ownership of their ideas and suggestions and therefore make sure they get executed if accepted by the team. This may easily prove to be the most difficult aspect of the Catchball process if you haven’t established the secure environment for process ownership to blossom. When passing the ball, a person who is not engaged or is afraid to hold the responsibility for unsuccessful propositions will just dodge the ball instead of catching it. Last but not least, when considering how to apply the Catchball process in your Lean management efforts, you need to find the most suitable frame for passing the ball in your organization. You can hold dedicated team meetings in the form of a discussion allowing the ball to be passed around naturally or have one-on-one discussions with every person that can bring value. The most important aspect of the format you choose is that everybody must be comfortable with it. 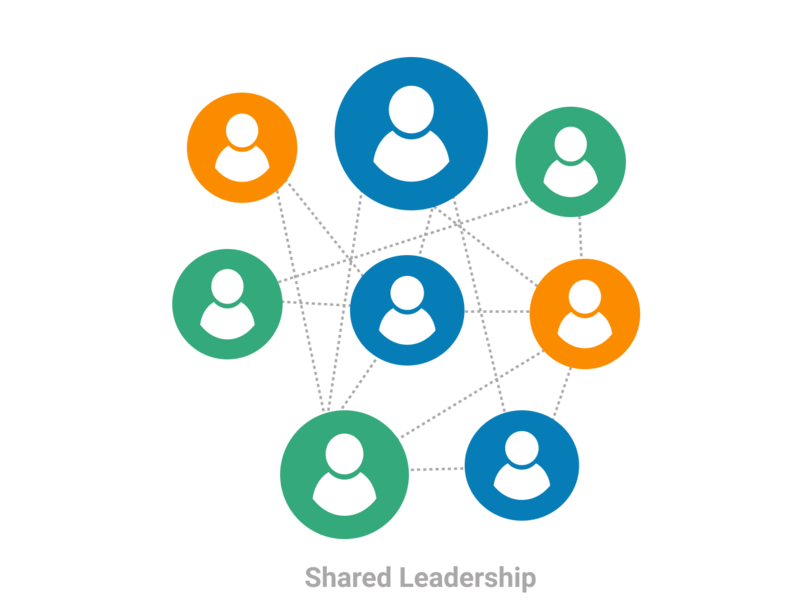 Increase information sharing across all levels of organization hierarchy. Align the actions of every person and the goals of your company. Boost the process of continuous improvement.